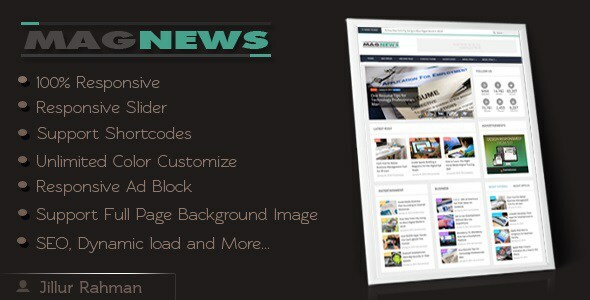 MagNews v1.1 is a clean, SEO friendly, flexible and responsive ool Blogger template. It’s perfect for magazine,news and personal types of website. There are used many awesome blogger widgets that attraction visitor’s eye. You can build your blogger homepage content by easily drag & drop modules into the admin layout section its really easy bro. 0 Response to "MagNews v1.1 – Responsive Blogger Template"